Amazon and Best Buy are the major online retailer rivals when it comes to the best gadgets on the market, and, since Amazon provided an amazing price drop on the Gear S2, it was only a matter of time before Best Buy would try its best to match it. Best Buy has discounted the Gear S2 and Gear S2 Classic by significant amounts before, but they've really outdone themselves this time! 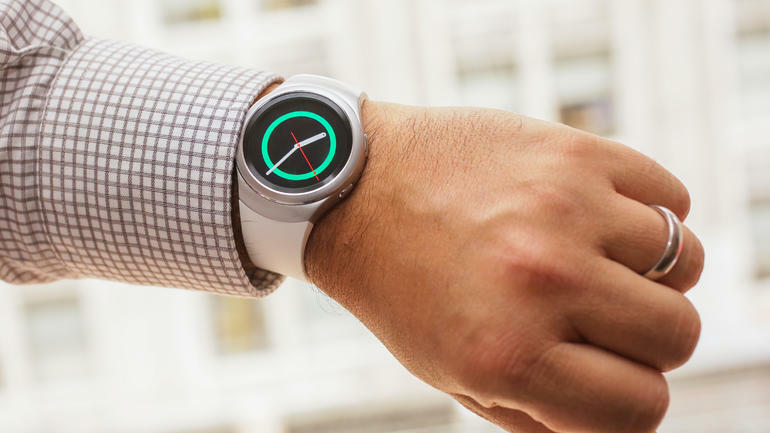 Right now, the Gear S2, Samsung's Tizen-powered, circular smartwatch featuring its Super AMOLED display (that, while gorgeous, isn't without its problems), 512MB of RAM, 4GB of storage, a 300mAh battery that can run 2-4 days on a single charge, along with its wireless charging capability, is on sale for the lowest price yet: $140.99. The Gear S2 Classic, Samsung's most refined smartwatch for those who want that ultra-premium look, is now available for $171.99. The original Gear S2 (non-Classic model) had an original retail price of $299.99, with the Gear S2 Classic originally selling for $349.99. This means that the non-Classic Gear S2 has been discounted by $159, while the Gear S2 Classic has been discounted by $178. These prices are as fine as they get for Samsung's latest smartwatches, and these new prices put these smartwatches at a more affordable level than Samsung's newly-released Gear Fit2. We've tempted you earlier with Amazon's sales, but these are also a possibility if you're in the mood to pick up the smartwatch of your dreams. While the Gear S3 will be unveiled in September, it's still a good time to pick up the Gear S2 now and get a Gear S3 when the time comes. You can pick up this present for a family member, spouse, or friend, since birthdays are happening all the time. Additionally, you can get a feel for how your favorite Gear S2 will look by visiting this virtual dressing room before placing your order. Also, the Gear S2 has had some Bluetooth pairing problems with the Huawei Nexus 6P and LG Nexus 5X, so be aware of that before diving in. You can also check out this Gear S2 unboxing video if you need to drool over the smartwatch one more time before giving in to your tech yearnings. Head here when you're ready to buy. Are you excited to see deals like this? Have you been holding out for a Gear S2? If so, are these deals "juicy" enough to make you jump onboard and grab one of Samsung's current wrist wearables for their own.